Advent is the time for preparation for the coming of Christ at Christmas. 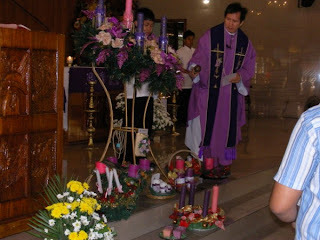 It is also the start of the Liturgical year in the Roman Catholic Church. Advent is a season of penitence and prayer, the "Little Lent". 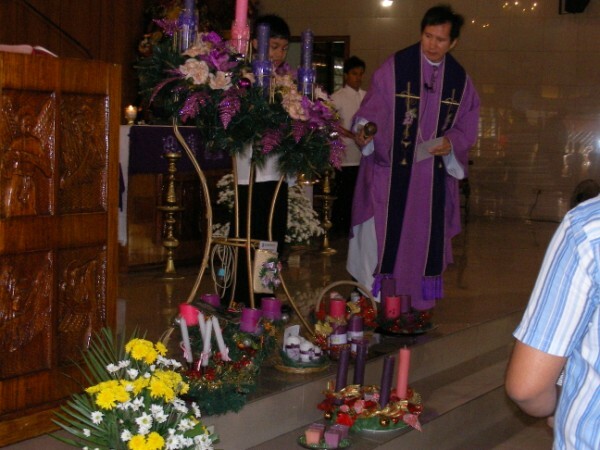 Last Saturday, November 28 and Sunday, November 29, the Advent Wreath was blessed by our parish priest Father Luke in all masses. After the blessing, a family led the congregation in praying the Advent prayer of unity and togetherness between husbands and wives and their children and the Church. At the end of the prayer, the wife lighted the candle on the wreath as a fitting reminder that Jesus, the light of the world, was born through Mary, our Mother.